It is located in the Terai region of state, Uttar Pradesh. It represents one of the last remaining examples of a highly diverse and productive terai ecosystem and supports a large number of endangered species. The Sal (Shorearobusta) forest is quite dense and grassland comprises about 19% of the park. The wetlands form the third largest habitat. The park is home to one of the finest and best forests in India and thus for nature enthusiasts an exceedingly productive and diverse eco-system with pristine beauty is a dream destination. Observing the wildlife in open gypsies or on elephant backs offers a thrill of its own at Dudhwa National Park. This picturesque reserve is really a haven for wildlife lovers and eco-biological students. Sprawling over the vast area of 1,284.3 sq km in Lakhimpur Kheri and Bahraich districts of Uttar Pradesh, Dudhwa Tiger Reserve is one such destination. 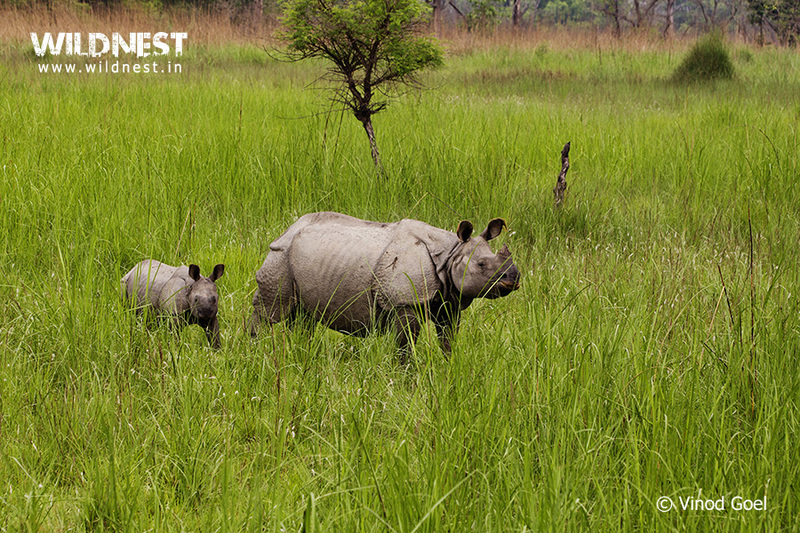 Nestling in the Himalayan foothills, Dudhwa is a unique forest reserve. With an area of 490.3 sq km, Dudhwa National Park is the largest among three forest fragments of Dudhwa Tiger Reserve. It is one of the few dense forests where endangered species continue to thrive. Tigers, one-horned rhinoceros and barasingha (swamp deer) are the major attractions of the Dudhwa National Park. 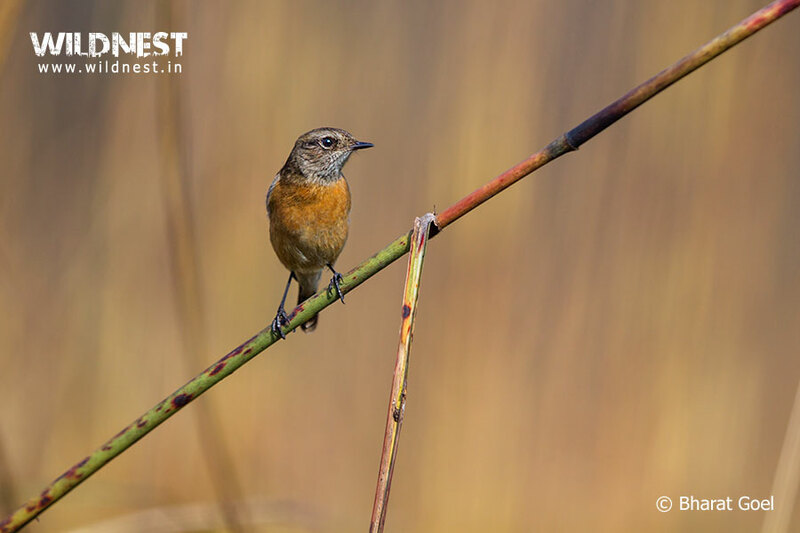 It is also home to rare species like Bengal florican and hispid hare. 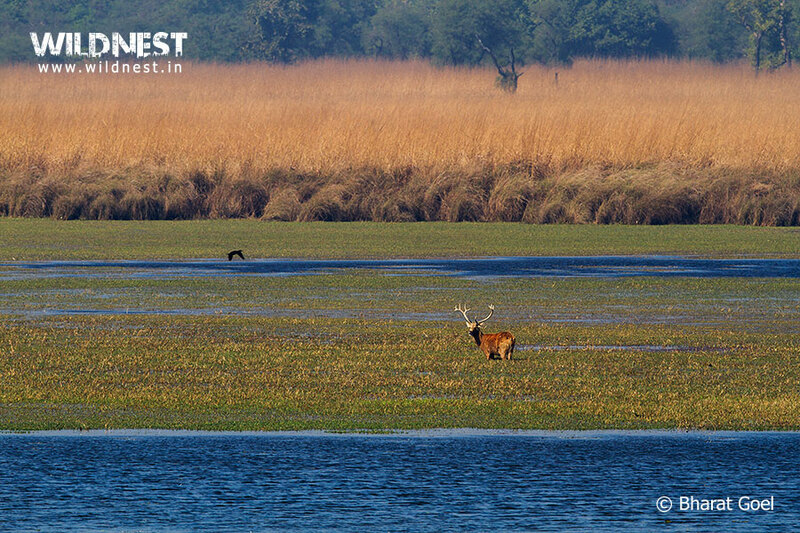 Covering an area of 227 km, the Kishanpur Wildlife Sanctuary is another part of Dudhwa Tiger Reserve. The area is covered with green open grasslands and Terai forests. 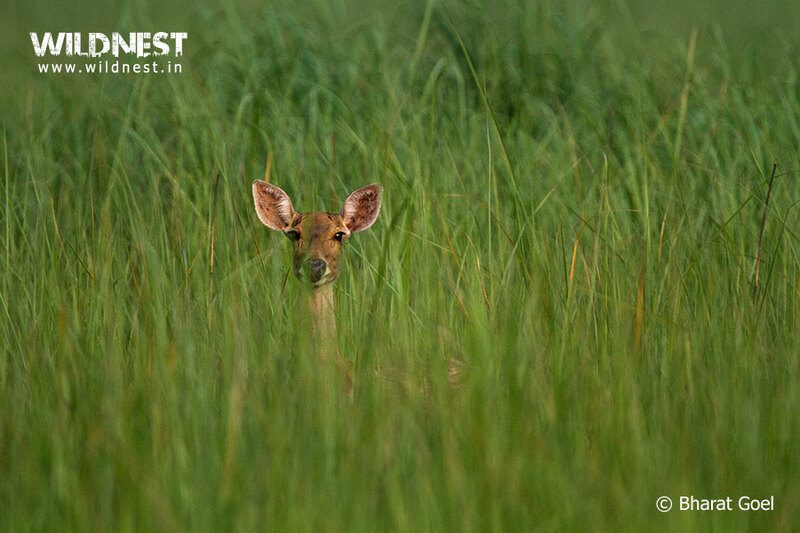 With a miraculous variety of flora and fauna, Kishanpur Sanctuary is home to rare barasingha. 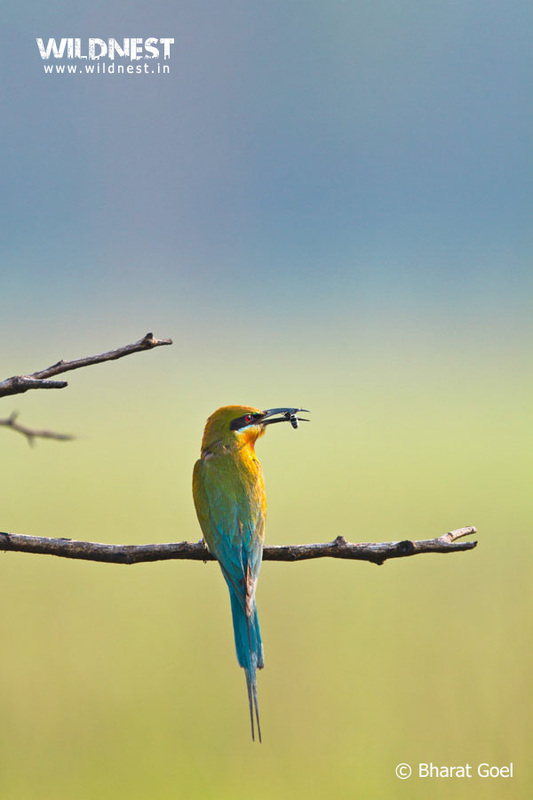 One can view these rare animals in the open meadows of Kishanpur Sanctuary. Sprawling over an area of 400.6 sq km, the Terai ecosystem of Katarnia ghat forests comprise lush green grasslands, Sal and Teak forests, wetlands and steaming swamps. Girwa River, flowing through this sanctuary is one of the best places in the world for seeing the gharial in its natural habitat. Mugger crocodiles are also seen though in much smaller numbers, as they prefer stagnant wetlands like the many taals (small lakes) that occur in the sanctuary. The extensive grasslands, thick forests and wet marshes of the reserve inhabit over 350 species of birds, 37 species of mammals, and 16 species of reptiles.Itis home to a wide variety of endangered and rare species that comprise swamp deer, tiger, leopard, elephant, jackal, civet, sloth bear, chital, sambar, fishing cat, rhinoceros, and hispid hare etc. Park has a rich bird life, including the swamp florican, Bengal francolin and great slaty woodpecker. Other birds which are found here are painted storks, black and white necked storks, sarus cranes, woodpeckers, barbets, kingfishers, minivets, bee-eaters, bulbuls, hornbill, peafowl, fishing eagle, emerald dove, serpent eagle, orioles, red jungle fowl and many others. 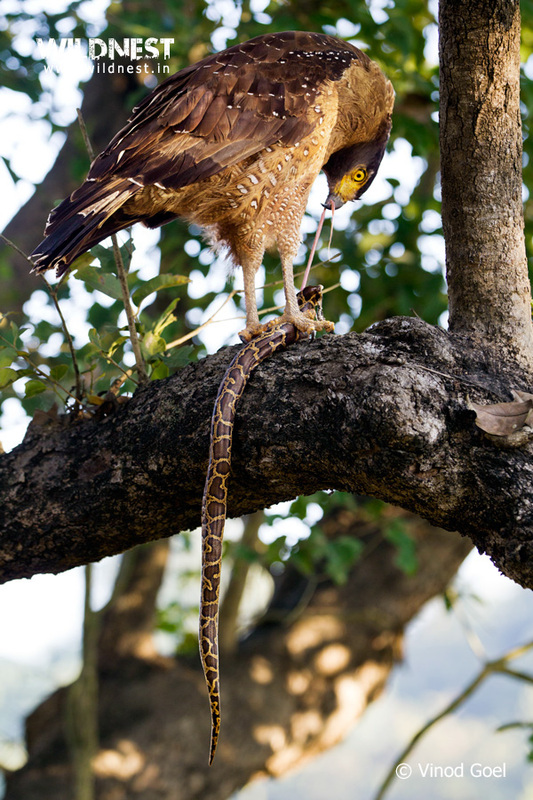 It also has highly fascinating and unique herpeto fauna, represented by wide variety of species such as the Burmese rock python, the banded krait, paradise flying snake and the yellow speckled wolf-snake. The main flora includes sal, shisham, gulal, baheraand asna. Summers are hot with temperatures rising up to 45 °C. Loo (hot dry wind) is prevalent in from mid April to end of May. There are heavy rains during monsoons hence the park remains closed. Average temperature is around 20 and 30 °C with minimum temperature dropping to 0°C in late December and January. During the summer months, tourists should preferably carry light cotton clothes. In the winter season people are suggested to carry light woolen during November and February and heavy woolen clothes in December and January. Although one can see tigers in different wildlife parks of India such as Ranthambore, Kanha, Bandhavgarh, Bandipur etc. but the tigers of Dudhwa has distinct beauty as their skin coat has more shining due to the conditions such as cold weather and tall, dense grasslands in the Terai region. During winters (November to March), tiger sightings are high as tiger comes out in the open to dry their skin coat, as grasslands are wet because of mist and dew. Large number of birds can be seen in and around the park. Mugger crocodiles can be seen basking lazily on the sandy riverbanks of the Suheli-Neora. During summers (April to June), apart from tiger and barasingha, there is high probability of seeing Bengal florican, an endangered species in the grasslands. Probability of seeing herds of elephants is also good. This is one of the best places to see red jungle fowl at any time. One-horned rhinoceros can also be seen during whole season. 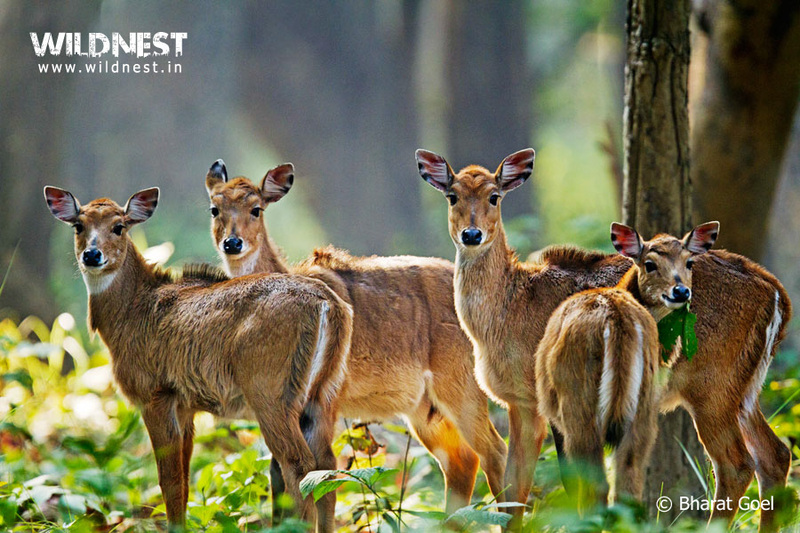 There are five deer species that are found in Dudhwa Tiger Reserve. These are swamp deer, spotted deer, hog deer, barking deer and sambar. This is the most unique feature among Indian forests. Jhaadi Taal(lake) inKishanpur wildlife sanctuary is the place where one can see the maximum number of barasinghas during summer. One-horned rhinoceros roamed freely up to 1878 in Dudhwa. Then they got extinct on account of poaching and habitat loss. In 1984, they were reintroduced here from Assam and Nepal. At present (as of July 2014) their population is around 30. Other than wildlife sanctuaries or National Parks of northeastern states of India, Dudhwa is the only place where one can see them in wild. Dudhwa National Park is the outcome of efforts of Sh. Billy Arjan Singh.The area was initially established as a wildlife sanctuary for Swamp deer in 1958. Later on it was declared as National Park in 1977. Billy Arjan Singh who was a hunter who later on turned into a conservationist. He was the first in India to reintroduce zoo born tigers and leopards into the wild at Dudhwa Tiger Reserve. Dudhwa National Park can be reached from Lucknow, which is around 240 kms in approx. 5 to 6 hours. There are two routes to go, one is via Sitapur-Lakhimpur-Gola-Khutar-Mailani-Palia-Dudhwa ( approx. 248 kms) and another is via Sitapur-Lakhimpur-Bijua-Bhira-Mailani-Palia-Dudhwa (approx. 219 kms). From Delhi, Dudhwa National Park is approx. 430 kms, It takes around 8–9 hours to reach there via Moradabad – Bareilly – Pilibhit -Khutar -Mailani – Palia-Dudhwa route. Nearest convenient railway stations to Dudhwa is Shahjahanpur which is about 110 km, approx. 3 hours drive from there to Dudhwa via Shahjahanpur-Powayan-Khutar-Mailani-Palia-Dudhwa route. Nearest airport in Lucknow (238 km), which is well-connected to major cities in India.